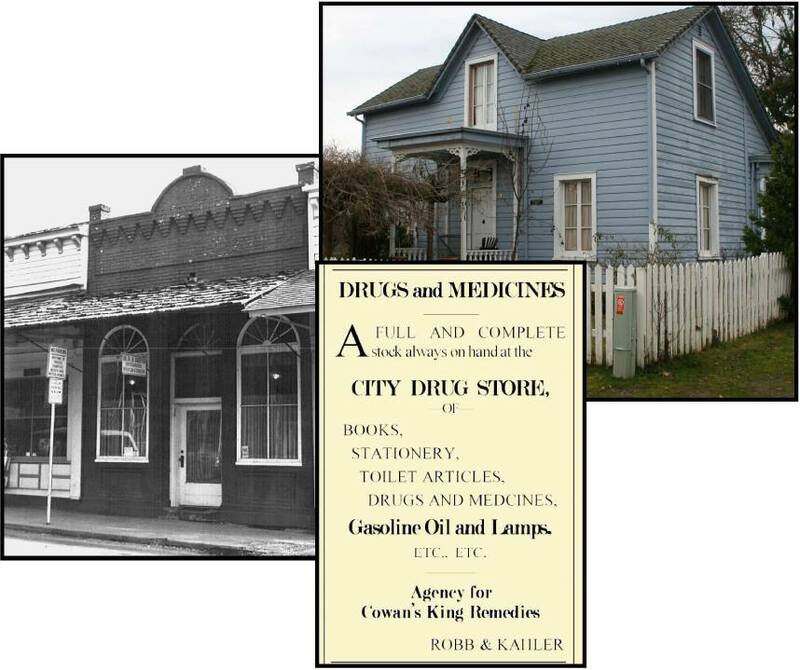 Kahler Home & Drugstore | Historic Jacksonville, Inc. In the late fall of 1880, Robert Kahler built the house at the corner of North 6th and E streets for “occupancy by himself and family at cost of $1,500.” Kahler was a member of a prominent Jacksonville family that came to Southern Oregon from Ohio in 1852. He became a successful druggist, selling not only drugs, but also books, stationery, paints, oils, and other goods. He built a new brick drugstore next to the Beekman Bank on California Street the same year as he built this home, replacing previous wooden structures he had occupied since 1871.